Item # 316104 Stash Points: 1,999 (?) This is the number of points you get in The Zumiez Stash for purchasing this item. Stash points are redeemable for exclusive rewards only available to Zumiez Stash members. To redeem your points check out the rewards catalog on thestash.zumiez.com. 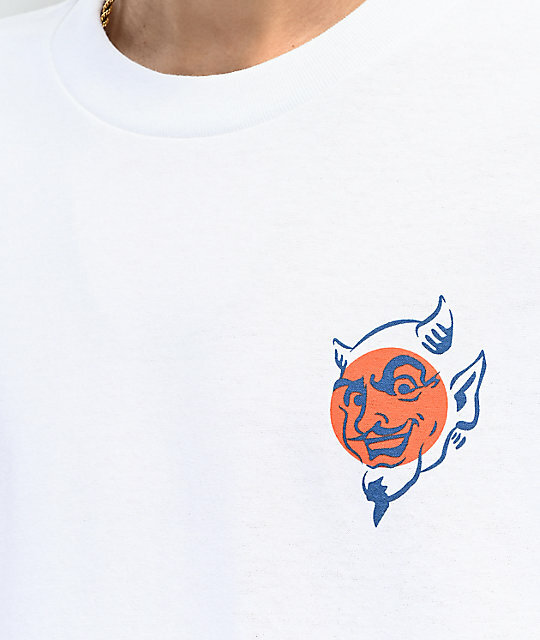 Compliment your devilishly good looks when you wear the Devils Dungeon White T-Shirt from Empyre. 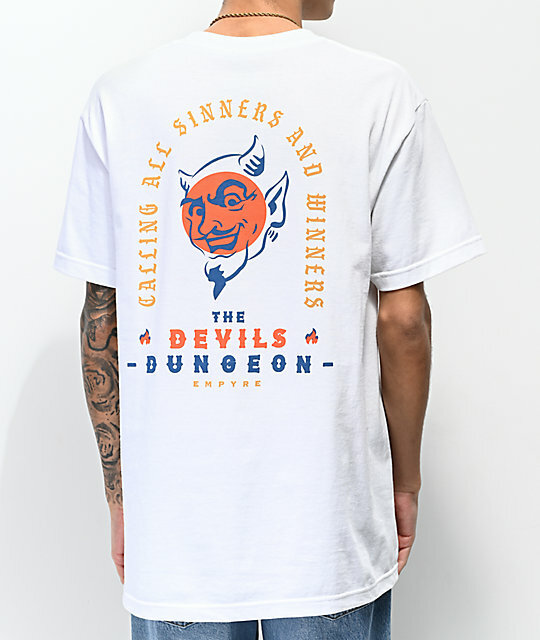 This white cotton tee features screen-printed graphics at the left chest of the Devil's face, while the back displays the same face, along with text that reads "Calling All Sinners And Winners; The Devils Dungeon." With a relaxed fit and unique design, this shirt from Empyre is a must-have addition to your casual looks. 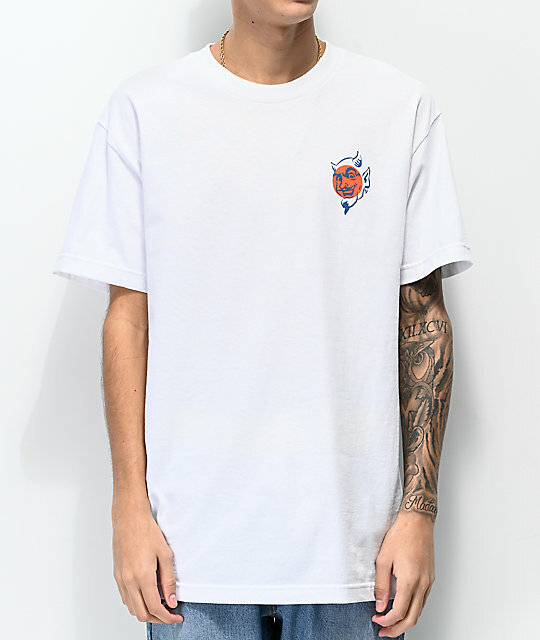 Devils Dungeon White T-Shirt from Empyre.